Let&apos;s say you want to live a healthy life. You eat organic food to avoid pesticides, and you buy free-range chicken to steer clear of antibiotics. You stay away from swordfish because of the mercury warnings. You move out of the smoggy downtown. 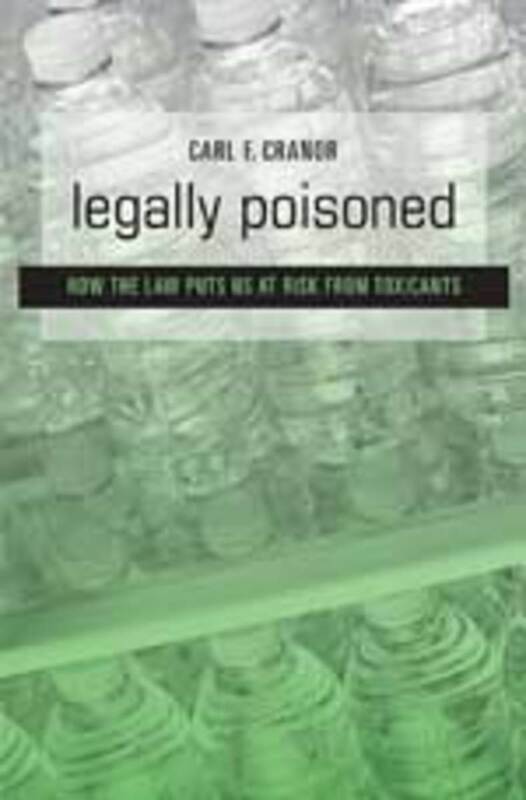 But hard as you try, you will not be safe, says Carl F. Cranor, author of an unnerving new book, Legally Poisoned: How the Law Puts Us at Risk from Toxicants. Since 1999, the Centers for Disease Control and Prevention has measured 219 environmental chemicals in the bodies of Americans. Most of the population carries around measurable levels of lead from automobile exhaust, flame retardants from carpets and epoxy resins in water bottles, like those pictured on the cover of Cranor&apos;s book. Most Americans over 20 have been exposed to PCBs, dangerous coolants that were formerly used in electrical transformers. No amount of "self-help" can save people from being chemically invaded, Cranor says. A lawyer and philosopher by training, he straddles science and law at the University of California, Riverside, studying the convoluted and contradictory patchwork of U.S. regulations on toxics and carcinogens. "It is simply morally outrageous to treat citizens as experimental subjects by contaminating them with untested substances," Cranor writes. "This stands in stark contrast to the way people are treated under the ethical guidelines for medical experiments and the laws concerning pharmaceuticals and pesticides." In a recent interview, he said the U.S. needs to recognize "this deep inconsistency." Drugs and pesticides undergo rigorous laboratory experiments before they can be sold, but there&apos;s almost no public data showing whether 82,000 industrial chemicals registered for sale in the United States were tested for potential health risks before entering the market, Cranor says. Because the Toxic Substances Control Act of 1976 doesn&apos;t require such testing, it effectively turns Americans into "guinea pigs for reckless free enterprise," he says: "I think it&apos;s a disastrous piece of legislation." Instead of requiring manufacturers to conduct and pay for pre-market testing, Cranor says, the law puts the burden on the U.S. Environmental Protection Agency to police the industry after products are offered for sale, opening the gates for companies to bog down the system with court challenges. To date, the EPA has required post-market testing for only 200 industrial chemicals. In 1998, the manufacturers of 2,800 chemicals of high production volume, defined as more than 1 million pounds a year, agreed voluntarily to test their products for potential risks to humans and the environment, but the program has fallen far behind schedule. In this sort of enforcement system, few chemicals ever get the "death penalty." It was Congress, not the EPA, that banned PCBs. Today, studies of laboratory animals suggest that flame retardants known as polybrominated diphenyl ethers, or PBDEs, found in carpets and chair cushions, may cause damage to the liver, thyroid and nervous system, especially in children. Two types of these chemicals were phased out in 2004, and the EPA has announced a voluntary phase-out of another type by the end of 2013, but they have not been banned. Earlier this year, citing an "uncertain business environment" stemming from a "fundamental lack of confidence in our nation&apos;s chemicals management system," the head of the American Chemistry Council told a congressional committee that the industry was in favor of modernizing the Toxic Substances Control Act. But the council&apos;s proposals do not include broad pre-market testing. "If we didn&apos;t believe our products were already safe for their intended uses, we wouldn&apos;t be making them," Cal Dooley, the council president, said. Legally Poisoned is a frightening book. It reminds readers that lead poisons the nervous system and PCBs disrupt the reproductive system and that both have a long half-life, afflicting both humans and the environment decades after lead was banned from gasoline and PCB use was outlawed. 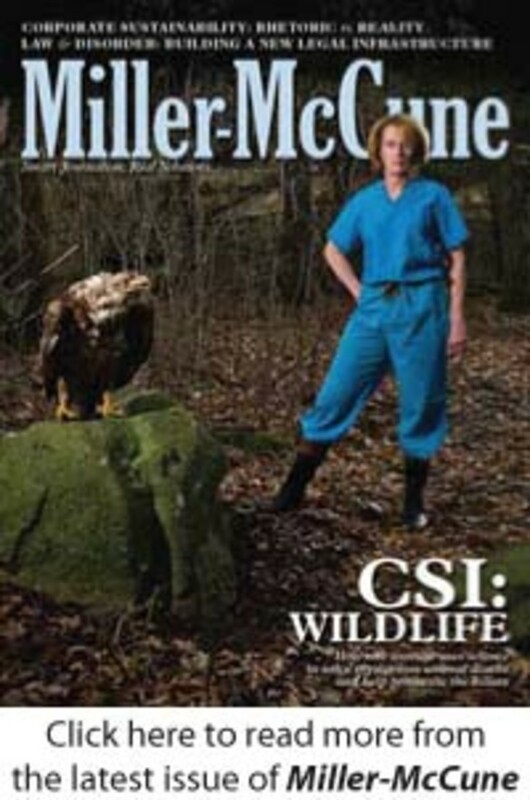 The book cites a number of studies on laboratory animals that suggest a link between adult disease and early exposure to ubiquitous chemical substances, including perfluorinated compounds in Scotchgard and nonstick cookware, and bisphenol A, or BPA, a synthetic estrogen that hardens the plastic in water bottles, baby bottles and the liners of cans. Taking the opposite tack, another new book, Scared to Death: How Chemophobia Threatens Public Health, seeks to debunk these studies and reassure the public. Published as a "position statement" by the American Council on Science and Health, an industry-friendly nonprofit group, it says the "regulation of chemicals is better and more effective than it&apos;s ever been," and chemicals used in consumer products "have undergone enough testing so that there is a reasonable likelihood that they will cause no harm when used properly." The book calls BPA "relatively innocuous" and questions whether studies on laboratory animals can be used to draw conclusions about risks to humans. "The only significant science-based question is whether a particular substance is harmful at the trace levels to which humans are exposed," says author Jon Entine, a journalist and visiting fellow at the American Enterprise Institute, a conservative think tank in Washington, D.C. Nonetheless, the troubling rise of autism, obesity, attention deficit hyperactivity disorder, type 2 diabetes and prostate and breast cancers in recent years has spread concern in the scientific community about the potential effects of low-dose exposure to hazardous chemicals such as BPA, especially early in life. The concept of the "developmental origins of disease," based on animal studies and human data, has gained broad acceptance, and it supplies the underpinnings for Cranor&apos;s arguments in Legally Poisoned — the idea that many illnesses may develop through a series of "hits" or exposures to hazardous chemicals, beginning in the womb. In this view, an exposure to toxics during a critical developmental window early in life might alter how a person&apos;s DNA functions, leading to cerebral palsy, leukemia, dementia, Parkinson&apos;s or other maladies later on. Cranor believes a less-risky world is within reach. As an example, he points to the European Union, which in 2007 began requiring 30,000 existing and all new chemicals to be tested for potential health and environmental hazards. European manufacturers and importers must submit technical data on their products showing that they can be used safely, or they will be restricted or banned. The operative slogan is, "No data, no market." In the U.S., two groundbreaking bills — the Safe Chemicals Act and Toxic Chemicals Safety Act — were introduced by Democrats in the House of Representatives last year. Both would have required pre-market testing; both died without a vote. In the vacuum, 18 states have taken matters into their own hands, passing 71 chemical safety laws during the past eight years. Some of these laws have banned BPA from baby and toddler products and phased out PBDEs in the home. In a recent example of "retail regulation," Wal-Mart Stores Inc. earlier this year banned PBDEs in hundreds of consumer goods, including couches, cameras and child car seats. Among state laws, California&apos;s Proposition 65, a voter-approved initiative, is the strongest: It lists nearly 900 toxic substances (though not BPA or PBDEs) and requires companies to warn the public if their products contain them. Many companies have opted to take toxics off the market instead. The American Chemistry Council says state and local governments lack the scientific expertise and resources to make such regulatory decisions. "In practice," Dooley, the council president, told members of Congress, "multiple state and local laws regarding chemicals create confusion among manufacturers, retailers and consumers, hamper the development of new products, close off markets, and ultimately prevent business growth and new hiring, all without significantly improving public safety." Cranor disagrees: "As a tactic, I think we ought to encourage going jurisdiction by jurisdiction to deal with these problems. It&apos;s a headache for industry." Legally Poisoned gets bogged down in the details of chemicals and their health effects, but its regulatory message comes through loud and clear. During a long career, Cranor has been an adviser to the Congressional Office of Technology Assessment and California&apos;s Proposition 65, and he has served on committees of the National Academy of Sciences and the Institute of Medicine. Along the way, he&apos;s been pulled into personal injury cases as an expert witness. But tort law cannot prevent contamination; it can only compensate people after they get sick. In his book, Cranor reviews the cautionary tale of the "DES daughters," one of the most egregious regulatory failures of the last century. Beginning in the 1970s, thousands of women in the U.S. were diagnosed with rare vaginal cancers and other disorders decades after their mothers took diethylstilbestrol, a synthetic estrogen that was mistakenly believed to prevent miscarriages. The DES scandal prompted a huge wave of lawsuits against the manufacturers of the drug. "The history of toxic contamination should worry us," Cranor says. "We have a world that&apos;s filled with industrial chemicals. We should recognize the seriousness of the problem and not wait for a catastrophe."